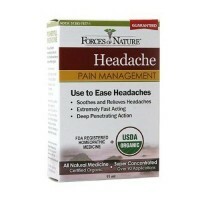 Herbal formula for the relief of migraine headache pain that is safe, effective, and does not contain aspirin. 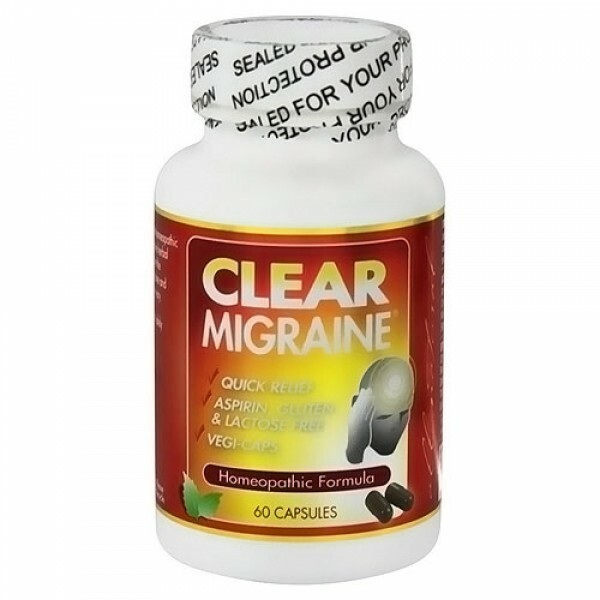 Clear Migraine is a unique homeopathic remedy formulated for the relief of migraine headache pain that is safe, effective, and does not contain aspirin. And also contains a proprietary herbal formula. Clear the pain, quickly, naturally, and safely with Clear Migraine. Contains specific homeopathic remedies traditionally used to help relieve the symptoms of migranes, tension and cluster headaches. 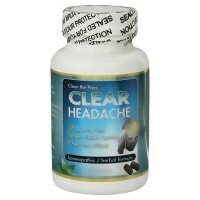 For common, everyday headaches, use our Clear Headache product. For use with common, everyday headaches (frontal, vertex, parietal, and hormonal) as well as those due to cold or flu. One of the most common causes of headaches is caffeine; slowly decrease consumption of coffee and caffeine beverages. Avoid cold food and drinks since they constrict blood vessels. Increase intake of vegetables, grains, nuts, seeds, and fruits. Aconite 3x, belladonna 6x, bryonia 6x, cimicifuga 3x, hypericum 3x, iris versicolor 6x, kali bichromicum 3x, natrum muriaticum 6x, sanguinaria 3x spigelia 6x. Corydalis tuber, angelica sinensis root, ligustici root, peony root, pueraria root, angelica dahurica root, chrysanthemum flower, gastrodia tuber, rehmannia root, siler root, ginger root, lycium fruit, tangerine peel, licorice root, magnesium stearate. People who have persistent pain not relieved by Clear Headache or Clear Migraine should consult with their physician or healthcare practitioner to rule out structural or functional abnormalities. People who are on anti-coagulant or anti-platelet therapies should use this formula with caution since there may be a higher risk of bleeding and bruising. 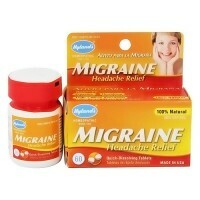 At onset of a migraine headache adults and children 12 and older take three capsule every three to four hours as needed. Not to exceed 12 capsules in a 24 hour period.